The top selling corded, dual speed, highly effective eRase e60, with its 60 tweezer action discs arranged in skin-tautening dual opposing heads, removes hair from the root (as short as 0.3 mm), leaving the skin smooth for up to 6 weeks. 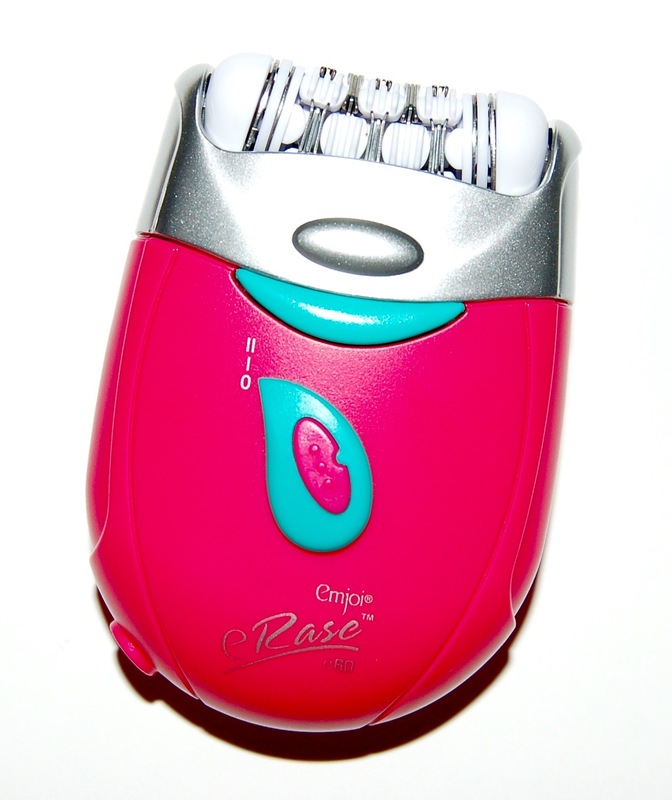 Its Erase Glide Technology enables the user to glide it back and forth, or in a circular motion over the skin to remove hair in seconds, while also being gentle enough to remove individual facial hair on the chin or upper lip. The eRase e60 also comes with a sensitive attachment for the epilator head, resulting in a product designed to be mild enough to remove hair where the user is most sensitive, including underarms, while remaining easy to use and reliable (for the least discomfort, epilation is recommended immediately after a warm bath or shower on dry skin). The eRase is able to remove most hair on the first pass, therefore reducing possible skin irritation and saving precious time while achieving silky skin. Purchasing Info: $79.95, https://emjoi.com/AP-14EB/emjoi-erase-e60 in Bermuda blue. Limited edition patterns and colors can be found at QVC.com throughout the year. The package comes with the dual-speed epilator, a shaver/trimmer attachment, a sensitive attachment, a brush for cleaning, and a cord. Also included is a cute bag that fits everything for convenient storage. I chose the cute bright pink elipilator. 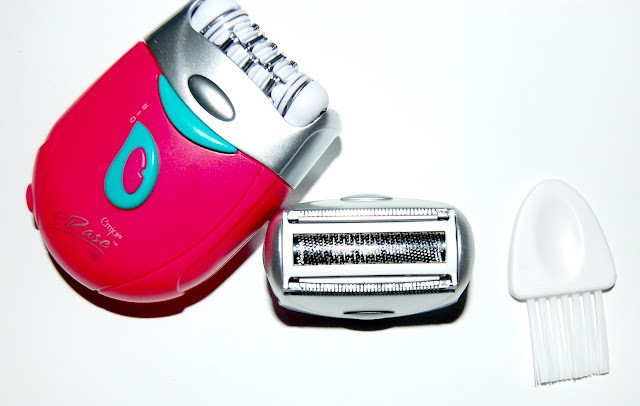 The eliplator has 60 tweezers, with Precision Hair Removal Technology to remove the majority of hair the first time which saves time and reduces skin irritation. Each disc set contains one fixed disc and two that open and close to gently assist in skin stretching and increase comfort. This is supposed to remove hair from the root and leave you smooth for up to 6 weeks. It also works for facial hair. 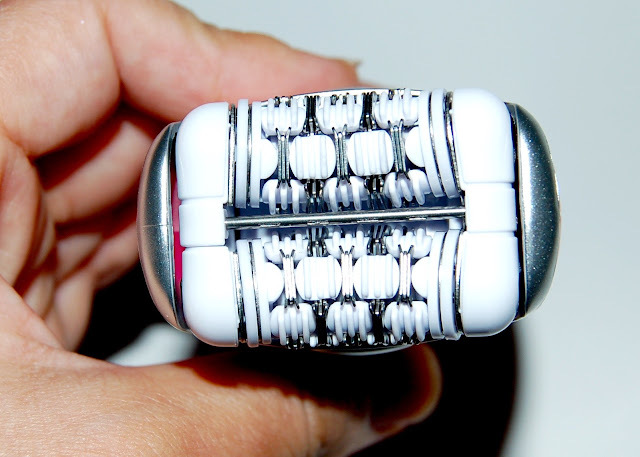 I used this epilator on my leg hair. I will admit, it's quite painful (and I'm no whimp for beauty...I've had both electrolysis and laser hair removal on several areas of my body)! Although the product itself aids in skin stretching, I felt that I had to hold my skin taught myself which definitely lessened the pain. You kind of work this over your skin like you would an eraser, back and forth several times. I found after several minutes, the pain became much more tolerable. The backs of my calves and thighs were the most painful since the skin there isn't as "tight". That said, I don't know how I ever lived without an epilator! My hair is dark and grows back insanely fast. After shaving, I typically can see/feel new hair on my legs within a couple of days. 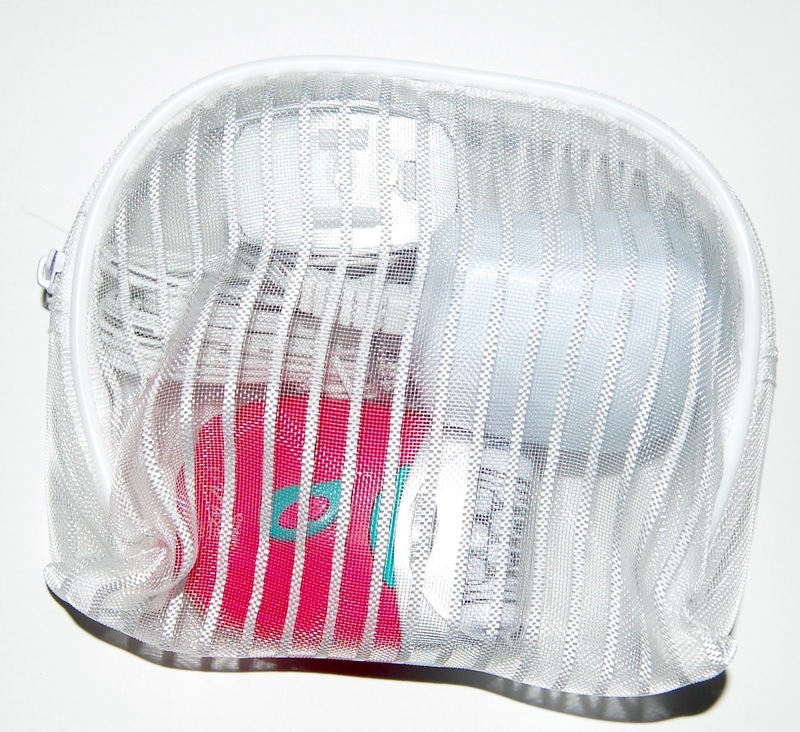 But after using the eRase Epilator, I could go 2 whole weeks without noticing new hair (unless I looked super close) or getting too much stubble. I know the claims are 6 weeks of smoothness but I was honestly impressed with 2. I'm sure results will be different for each individual. 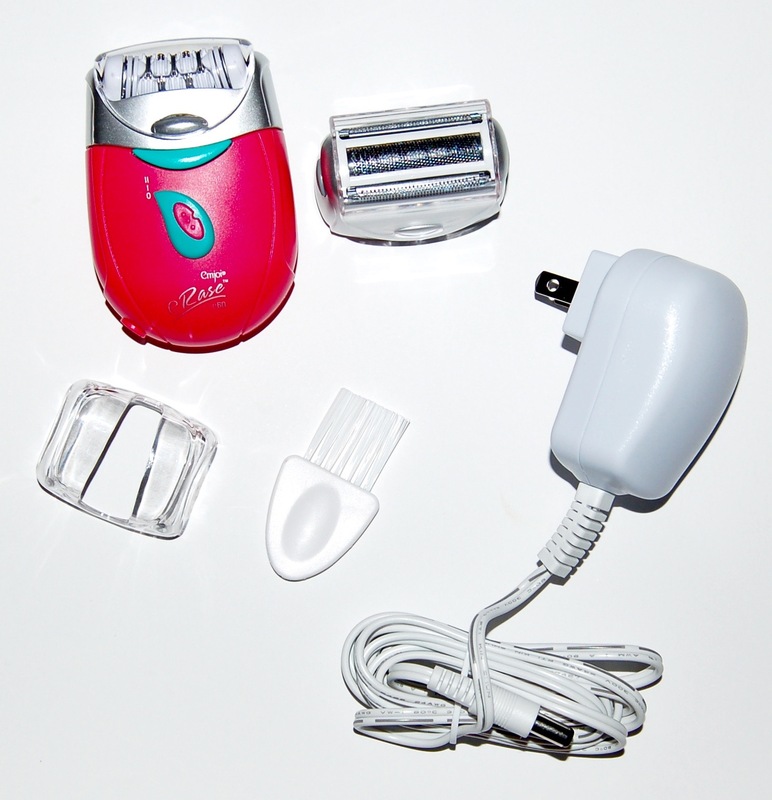 If you are in the market for an epilator, I highly recommend this one! It would also make a great holiday gift! 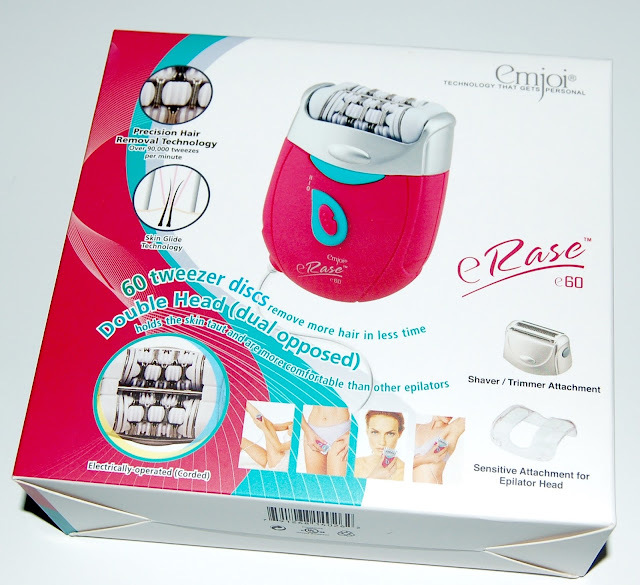 The Emjoi eRase retails for $79.95 and can be purchased on the Emjoi website or on QVC.